Table G shows us 10 different compounds, all dissolved into 100 mL of water, at all possible temperatures from zero to one hundred centigrade. Using this table we can see the maximum amount of solute that can dissolve into the water solvent at any temperature. Using simple proportion math, we can extrapolate these saturation levels to solutions of any size smaller or larger. Table F shows us which ionic compounds will or will not dissolve into water. The table also is used during chemical reactions chemistry to show when certain compounds form in a double replacement reaction, which would remain aqueous and which precipitate out of solution. Like dissolves like refers mostly to water being polar, and that polar water can only dissolve polar molecules, or (most) ionic compounds. Ionic compounds have a positive and a negative (polar) sides. It also means that nonpolar solvents, like oils or gasoline can dissolve only other nonpolar substances. Solutions from scratch need to start with the molarity formula. Solve for moles, then convert the moles into grams. Put the sufficient number of grams into a flask, then fill it up with water to the total volume you need. 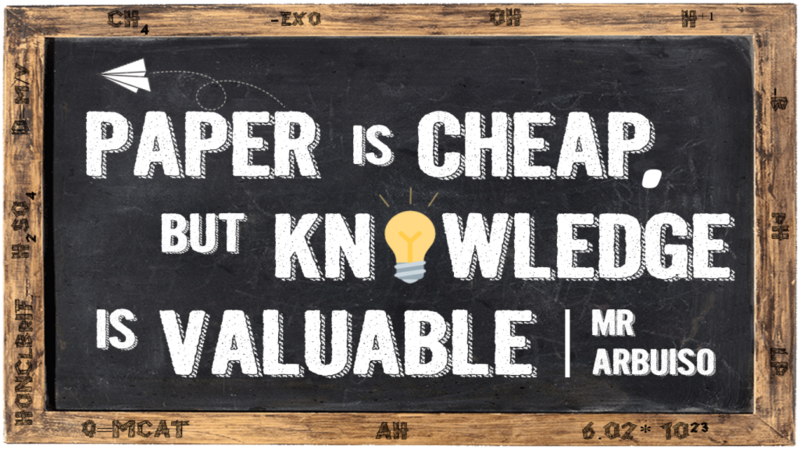 To make solutions using a stock solution (one that is literally, at hand), use the M1V1 = M2V2 formula. Molarity of the stock solution times the variable volume needed will equal the molarity of the solution you want to make times the volume of the new solution. Once you solve for V1, the volume of stock solution you need, put that into a flask, then fill the flask up with water to the total volume required. solvents: what solutes dissolve into, mostly this is water in high school chemistry, but could be the milk of the chocolate milk solution as well. Molarity: a measure of solution concentration. 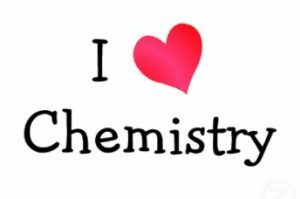 molarity is equal to the moles of solute divided by liters of solution. PPM: stands for parts per million, for concentration of unusually weak solution. PPM is equal to the mass of solute divided by the mass of solution, multiplied by one million. Usually this is in grams, but any mass units are okay – as long as they are the same in the numerator and denominator, because they will divide away anyway. Percent composition by mass: is the final measure of concentration, equal to the mass of the part you are measuring, divided by the mass of the whole (which the part is part of), times 100%. concentrated vs. dilute: these words are loose, and mean either stronger or higher molarity solutions as compared to weaker, or lower molarity solutions. These are causal words without units, qualitative measurements. saturation level: solutions hold a certain amount of solute depending upon volume of solvent, temperature of solvent, and if the solute is soluable at all in this solvent. When a solution is holding the maximum solute under any conditions, it’s said to be saturated. unsaturated: when a solution still has “room” to hold more solute under the conditions it exists at currently. supersaturated: few substances can “trick” water into holding more solute than they should be able to under set conditions. Sugar, and also sodium acetate both dissolve better in hot water than cold. If you start with a hot solution, more solute will “fit” into the water. If you slowly cool the solution down, solute (sugar or sodium acetate) will not precipitate out as you would expect the colder water would do. These solutes can remain unstably in solution, but can crash out as a solid all at once if given a proper disruption. heats of solution (table I): most of table I has chemical reactions, but the bottom of the table we find about 9 different solutes dissolving into water, and they are exothermic or endothermic. They all have a H, but they are not chemical reactions, they are phase changes or mixtures. Rather than call their H a heat of “reaction”, their H are called HEAT OF SOLUTION. homogeneous vs. heterogeneous solutions: solutions that are the same throughout are homogeneous, while mixtures that are not the same throughout are called heterogeneous. miscible vs. immiscible solutions: when 2 or more liquids can dissolve into each other they are miscible. If they cannot (like oil and water for example) the liquids are immiscible. 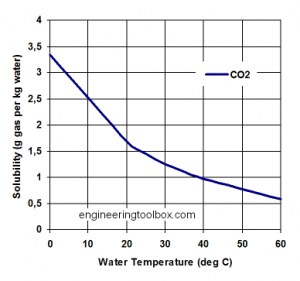 Draw a graph (~ 2 inches tall) showing the solubility of CO2 gas dissolved in water as a function of temperature in °C. As long as your graph shows lowering solubility as temperature rises (inversely proportional) that is fine. You do not have the ability to actually know the actual solubility, but it’s molecular and surely works this way. What speeds up the rates of dissolving solutes into solvents? That would be agitation, increasing surface area of solute, and increasing temperature. All create more collisions between solute and solvent, more chance to dissolve. 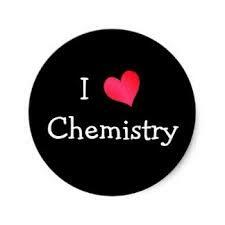 I love chem, the end.